The term heat treating for aluminum alloys is frequently restricted to the specific operations employed to increase strength and hardness of the precipitation-hardenable wrought and cast alloys. These usually are referred to as the heat-treatable alloys to distinguish them from those alloys in which no significant strengthening can be achieved by heating and cooling.Heat treatment to increase strength of aluminum alloys is a three-step process: Solution heat treatment: dissolution of soluble phases; Quenching: development of supersaturation; Age hardening: precipitation of solute atoms either at room temperature (natural aging) or elevated temperature (artificial aging or precipitation heat treatment). Heat treating in its broadest sense, refers to any of the heating and cooling operations are performed for the purpose of changing the mechanical properties, the metallurgical structure, or the residual stress state of a metal product. When the term is applied to aluminum alloys, however, its use frequently is restricted to the specific operations employed to increase strength and hardness of the precipitation-hardenable wrought and cast alloys. These usually are referred to as the "heat-treatable" alloys to distinguish them from those alloys in which no significant strengthening can be achieved by heating and cooling. The latter, generally referred to as "non heat-treatable" alloys depend primarily on cold work to increase strength. Heating to decrease strength and increase ductility (annealing) is used with alloys of both types; metallurgical reactions may vary with type of alloy and with degree of softening desired. The general requirement for precipitation strengthening of supersaturated solid solutions involves the formation of finely dispersed precipitates during aging heat treatment (which may include either natural aging or artificial aging). The aging must be accomplished not only below the equilibrium solvus temperature, but below a metastable miscibility gap called the Guinier-Preston (GP) zone solvus line. The commercial heat-treatable alloys are, with few exceptions, based on ternary or quaternary systems with respect to the solutes involved in developing strength by precipitation. Commercial alloys whose strength and hardness can be significantly increased by heat treatment include 2xxx, 6xxx, and 7xxx series wrought alloys and 2xx.0, 3xx.0 and 7xx.0 series casting alloys. Some of these contain only copper, or copper and silicon as the primary strengthening alloy addition. Most of the heat-treatable alloys, however, contain combinations of magnesium with one or more of the elements, copper, silicon and zinc. Characteristically, even small amounts of magnesium in concert with these elements accelerate and accentuate precipitation hardening, while alloys in the 6xxx series contain silicon and magnesium approximately in the proportions required for formulation of magnesium silicide (Mg2Si). Although not as strong as most 2xxx and 7xxx alloys, 6xxx alloys have good formability, weldability, machinability, and corrosion resistance, with medium strength. 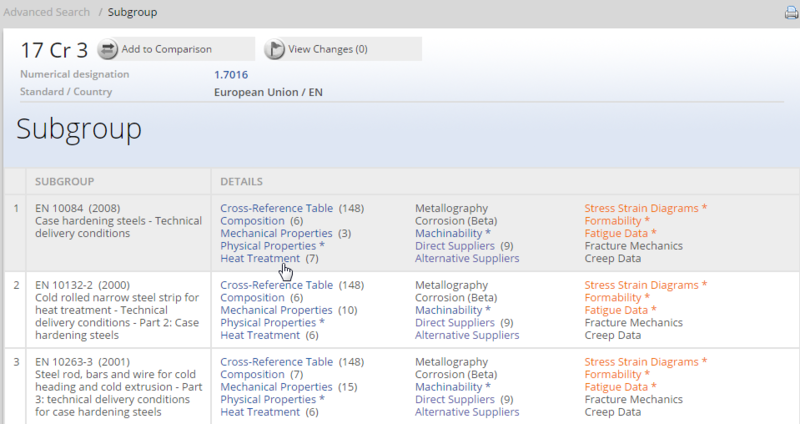 In the heat-treatable wrought alloys, with some notable exceptions (2024, 2219, and 7178), such solute elements are present in amounts that are within the limits of mutual solid solubility at temperatures below the eutectic temperature (lowest melting temperature). In contrast, some of the casting alloys of the 2xx.0 series and all of the 3xx.0 series alloys contain amounts of soluble elements that far exceed solid-solubility limits. In these alloys, the phase formed by combination of the excess soluble elements with the aluminum will never be dissolved, although the shapes of the undissolved particles may be changed by partial solution. Age hardening: precipitation of solute atoms either at room temperature (natural aging) or elevated temperature (artificial aging or precipitation heat treatment). To take advantage of the precipitation hardening reaction, it is necessary first to produce a solid solution. The process by which this is accomplished is called solution heat treating, and its objective is to take into solid solution the maximum practical amounts of the soluble hardening elements in the alloy. The process consists of soaking the alloy at a temperature sufficiently high and for a time long enough to achieve a nearly homogeneous solid solution. Certain alloys that are relatively insensitive to cooling rate during quenching can be either air cooled or water quenched directly from a final hot working operation. In either condition, these alloys respond strongly to precipitation heat treatment. This practice is widely used in producing thin extruded shapes of alloys 6061, 6063, 6463 and 7005. 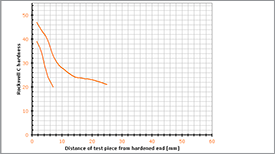 Upon precipitation heat treating after quenching at the extrusion press, these alloys develop strengths nearly equal to those obtained by adding a separate solution heat treating operation. Changes in properties occurring during the precipitation treatment follow the principles outlined in the discussion of solution heat-treated alloys. Quenching is in many ways the most critical step in the sequence of heat-treating operations. The objective of quenching is to preserve the solid solution formed at the solution heat-treating temperature, by rapidly cooling to some lower temperature, usually near room temperature. In most instances, to avoid those types of precipitation that are detrimental to mechanical properties or to corrosion resistance, the solid solution formed during solution heat treatment must be quenched rapidly enough (and without interruption) to produce supersaturated solution at room temperature - the optimum condition for precipitation hardening. The resistance to stress-corrosion cracking of certain copper-free aluminum-zinc-magnesium alloys, however, is improved by slow quenching. Most frequently, parts are quenched by immersion in cold water, or in continuous heat treating of sheet, plate, or extrusions in primary fabricating mills, by progressive flooding or high-velocity spraying with cold water. After solution treatment and quenching hardening is achieved either at room temperature (natural aging) or with a precipitation heat treatment (artificial aging). In some alloys, sufficient precipitation occurs in a few days at room temperature to yield stable products with properties that are adequate for many applications. These alloys sometimes are precipitation heat treated to provide increased strength and hardness in wrought or cast products. Other alloys with slow precipitations reactions at room temperature are always precipitation heat treated before being used. In some alloys, notably those of the 2xxx series, cold working or freshly quenched material greatly increases its response to later precipitation heat treatment. Natural Aging. The more highly alloyed members of the 6xxx wrought series, the copper-containing alloys of the 7xxx group, and all of the 2xxx alloys are almost always solution heat treated and quenched. For some of these alloys, particularly the 2xxx alloys, the precipitation hardening that results from natural aging alone produces useful tempers (T3 and T4 types) that are characterized by high ratios of tensile to yield strength and high fracture toughness and resistance to fatigue. For the alloys that are used in these tempers, the relatively high supersaturation of atoms and vacancies retained by rapid quenching causes rapid formation of GP zones, and strength increases rapidly, attaining nearly maximum stable values in four or five days. 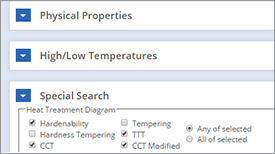 Tensile-property specifications for products in T3- and T4-type tempers are based on a nominal natural aging time of four days. 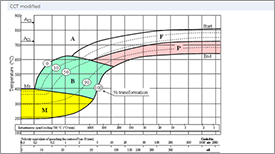 In alloys for which T3- or T4-type tempers are standard, the changes that occur in further natural aging are of relatively minor magnitude, and products of these combinations of alloy and temper are regarded as essentially stable after about one week. 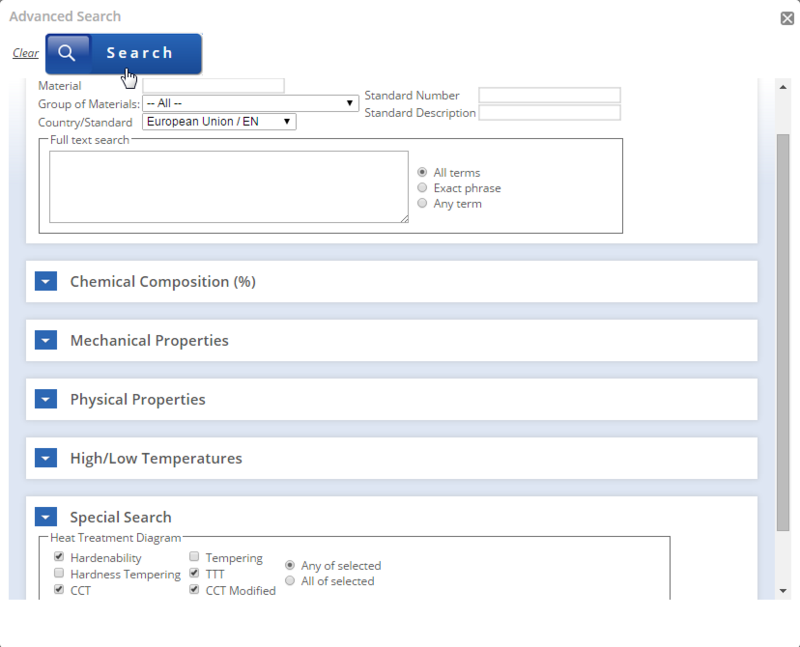 In contrast to the relatively stable condition reached in a few days by 2xxx alloys that are used in T3- or T4-type tempers, the 6xxx alloys and to an even greater degree the 7xxx alloys are considerably less stable at room temperature and continue to exhibit significant changes in mechanical properties for many years. Precipitation heat treatments generally are low-temperature, long-term processes. 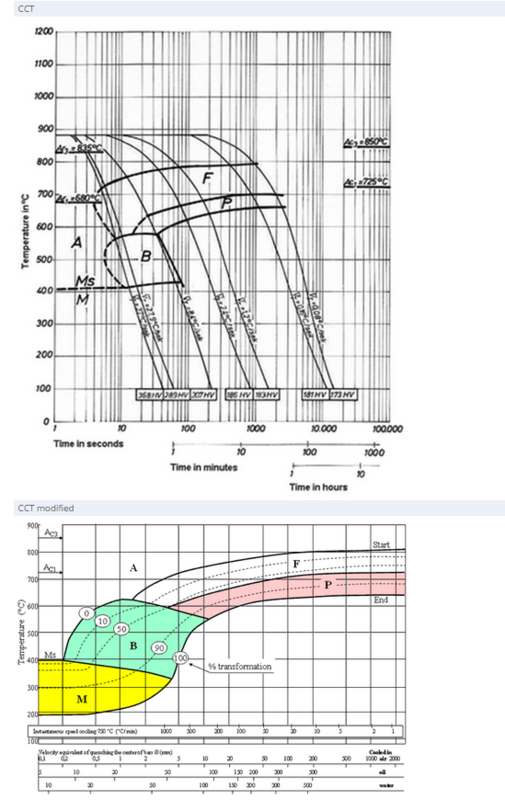 Temperatures range from 115 to 190°C; times vary from 5 to 48 h.
Choice of time-temperature cycles for precipitation heat treatment should receive careful consideration. Larger particles of precipitate result from longer times and higher temperatures; however, the larger particles must, of necessity, be fewer in number with greater distances between them. The objective is to select the cycle that produces optimum precipitate size and distribution pattern. Unfortunately, the cycle required to maximize one property, such as tensile strength, is usually different from that required to maximize others, such as yield strength and corrosion resistance. Consequently, the cycles used represent compromises that provide the best combinations of properties. 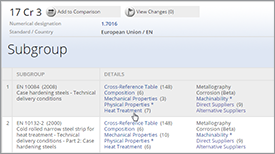 Production of material in T5- through T7-type tempers necessitates precipitation heat treating at elevated temperatures (artificial aging). Differences in type, volume fraction, size, and distribution of the precipitated particles govern properties as well as the changes observed with time and temperature, and these are all affected by the initial state of the structure. The initial structure may vary in wrought products from unrecrystallized to recrystallized and may exhibit only modest strain from quenching or additional strain from cold working after solution heat treatment. These conditions, as well as the time and temperature of precipitation heat treatment, affect the final structure and the resulting mechanical properties. 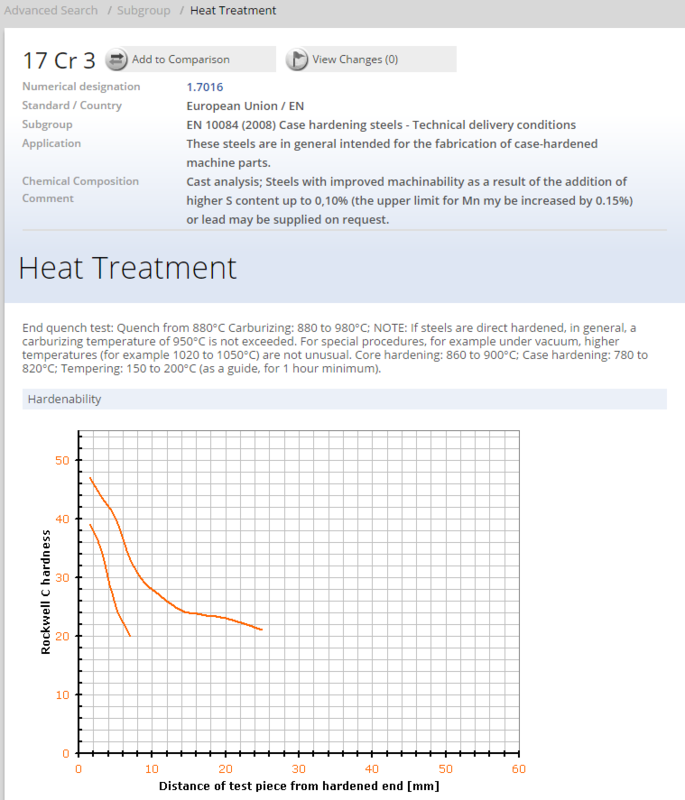 Precipitation heat treatment following solution heat treatment and quenching produces T6- and T7-type tempers. 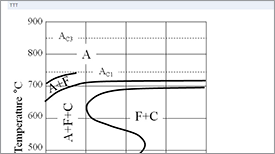 Alloys in T6-type tempers generally have the highest strengths practical without sacrifice of the minimum levels of other properties and characteristics found by experience to be satisfactory and useful for engineering applications. Alloys in T7 tempers are overaged, which means that some degree of strength has been sacrificed or "traded off" to improve one or more other characteristics. Strength may be sacrificed to improve dimensional stability, particularly in products intended for service at elevated temperatures, or to lower residual stresses in order to reduce warpage or distortion in machining. T7-type tempers frequently are specified for cast or forged engine parts. Precipitation heat-treating temperatures used to produce these tempers generally are higher than those used to produce T6-type tempers in the same alloys. Two important groups of T7-type tempers -- the T73 and T76 types -- have been developed for the wrought alloys of the 7xxx series, which contain more than about 1.25% copper. 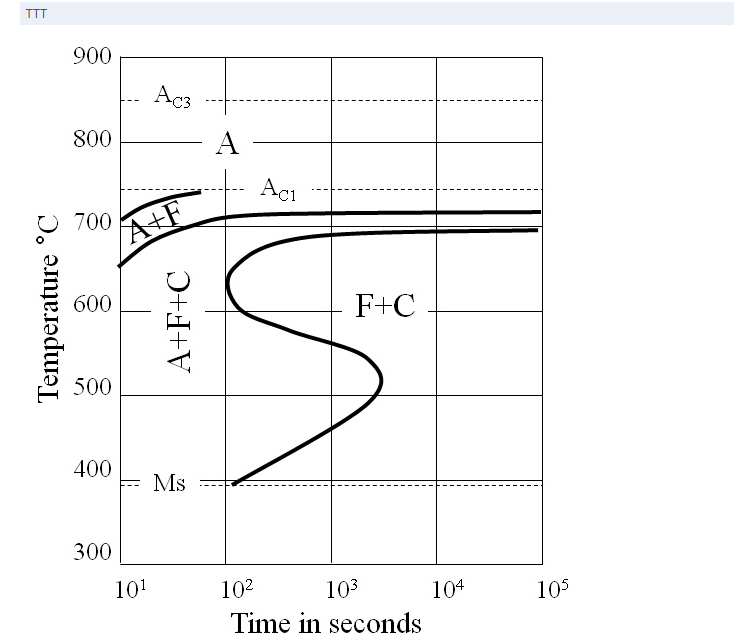 These tempers are intended to improve resistance to exfoliation corrosion and stress-corrosion cracking, but as a result of overaging, they also increase fracture toughness and, under some conditions, reduce rates of fatigue-crack propagation.